I hope you’ll add my book to your list when it comes out. I wish you were here to take my author photo! I also added you as a friend in facebook. I hope you accept so I don’t feel unloved. lol. You always find the coolest books. I can’t wait to hear if this one is good too. 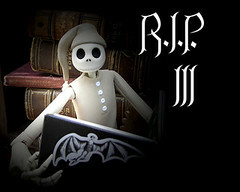 Will you be doing your spooky story on the blog in addition to this? Oh and I have Bean’s halloween costume. He is going to be the parrot and L is going to be the pirate. Rrrr…. 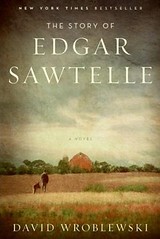 Oh please please can I read Edgar Sawtelle after you? Pretty please?! For a second I thought you were saying that you were already reading A Graveyard Book and my jealousy meter was going to shoot through the roof!!! Ooh, I’ve been over to Carl’s site already (from your post! ), and when I’m at the bookstore tomorrow, I’m going to figure out which books I’m going to read! Thanks for always posting such very cool things! wow. this sounds SO cool!! Let me know how Edgar is; I poke at it when I browse at Borders but I’m not quite willing to add it to the list yet. 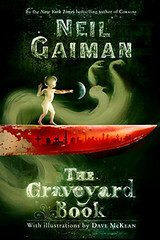 Everyone talking about The Graveyard Book is making me want it too! BTW, you did see the pirate poppet, right?